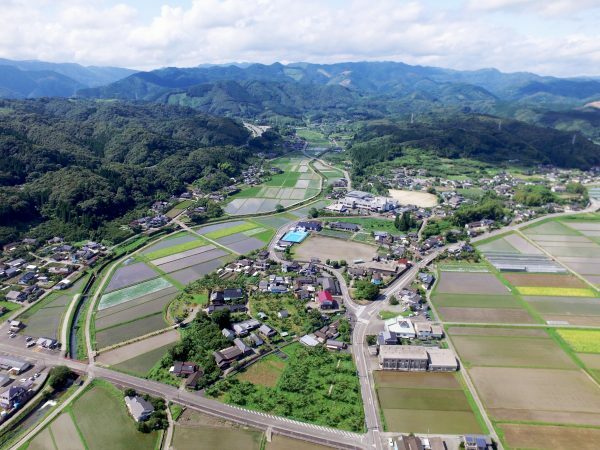 Yamae Village has a population of 3,537 people (as of September 30, 2017) and is located in the southern part of Kumamoto Prefecture. It has an aging rate of 32.56%, and total fertility rate of 2.00. The area of ​​the village is 121.19 ha. There are a few shops and no hospitals, and the only public transportation is a reservation-based community cab. 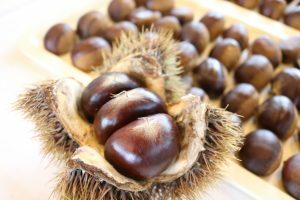 The region’s most important product is chestnuts. The chestnuts of Yamae are known to be big, sweet and early harvesting. They were presented to the Emperor Showa in 1977. In recent years they have been adopted as a dessert by JAL international flight first-class and JR Kyushu express train Nanatsuboshi, and also submitted to produce exhibits in Paris. In autumn, the Chestnut Festival of Yamae village is very popular. For example, the number of visitors exceeds the population of the village, expressways are congested and there is a lack of parking. Since the start of collaborative research in the summer of 2015, we have engaged in 3 projects: the creation of a strategy for informatization in the Yamae village region, the formation of a future vision for Yamae village for the realization of sustainable agriculture through school meals and local consumption, and surveys about Yamae chestnuts. 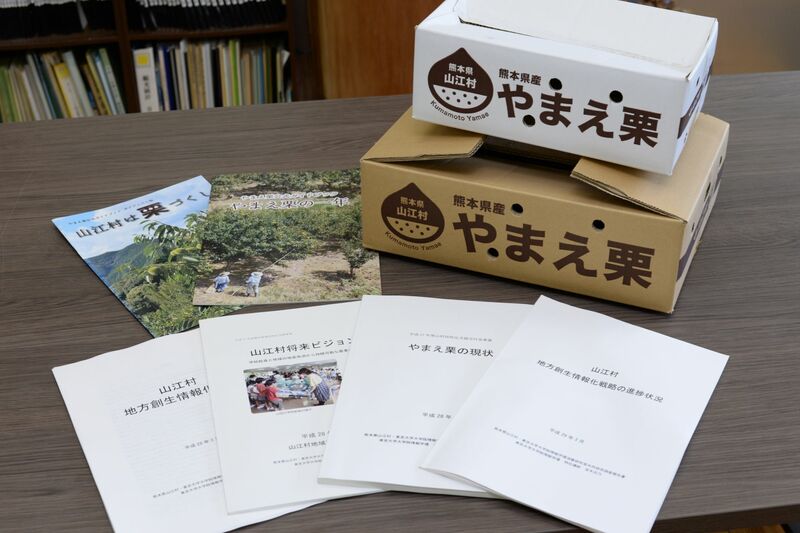 While helping to manage the progress of these projects, we continue to research, provide policy information to the village administration, edit the Yamae chestnut official guidebook, design cardboard for shipment of chestnuts, amongst other activities. 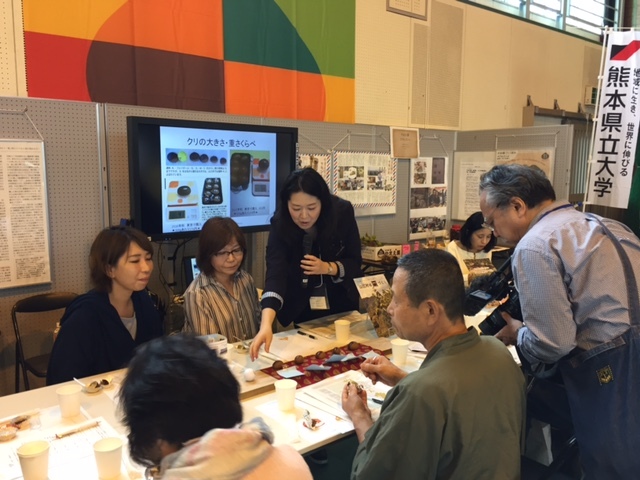 At the Chestnut Festival, we held poster presentations and seminars for visitors. 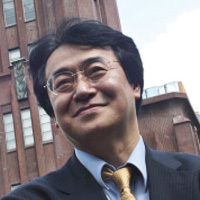 This was covered by NHK Kumamoto, leading to wider dissemination of the research results. In January 2016, the Yamae Village Community Development Research Institute opened and we are deeply committed to its continued development. The principal activities of the institute are to clarify issues by research and analysis, to support human resource development and to suggest utilization of ICT for Yamae residents. 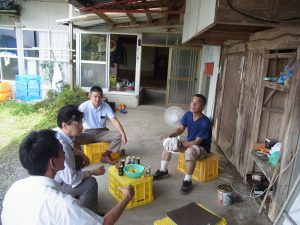 In addition to our research, we do marketing of Yamae chestnuts, create regional contents and collect data related to the village. 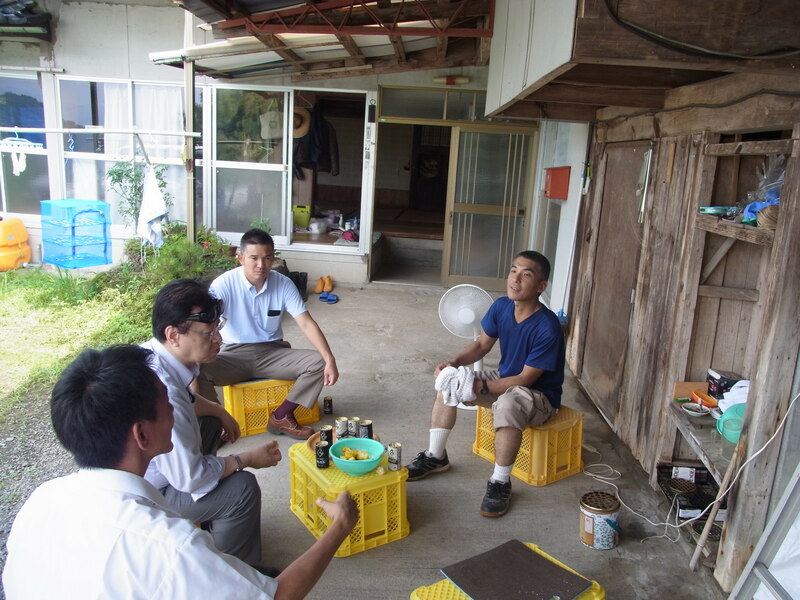 In the institute, there are spaces for villagers to study, to hold meetings and use Wi-Fi. There are many resources and tools, including a library containing information on chestnuts, drones, and electronic blackboards. To prevent perpetuation of the digital divide, we offer public seminars for villagers, and have established an ICT Promotion Committee to collect information on each district and provide support to residents.